Around the world, blended whiskeys are among the most beloved—and highest selling. Looking across the pond, Johnnie Walker and Jameson surely ring a bell with even the most casual of whiskey drinkers. In Japan, the highly-sought-after Hibiki and the new-to-our-shores Nikka From the Barrel both command our attention. I could write a thesis doing nothing but listing out well-known and regarded blended whiskeys. But the same cannot be said of blended American whiskey. This is due to the regulations, which differ from the rest of the world. Consider blended Scotch whisky. It’s simply a combination of one or more single malts with one or more single grain whiskies. All of the standards for each individual component are upheld—including that they all be at least three years old. However in the US, the definition from the TTB (Alcohol and Tobacco Tax & Trade Bureau) stipulates a minimum requirement of 20% straight whiskey (whiskey aged at least two years in new, charred oak barrels) in a blend. The rest can be whiskey of any type or neutral spirits. That allows for any type or age of whiskey to comprise the bulk of a bottle. More realistically, the way the category has been used has been to stuff those blends with cheap, neutral grain spirits. Seagram’s 7 is a prime example of this practice. 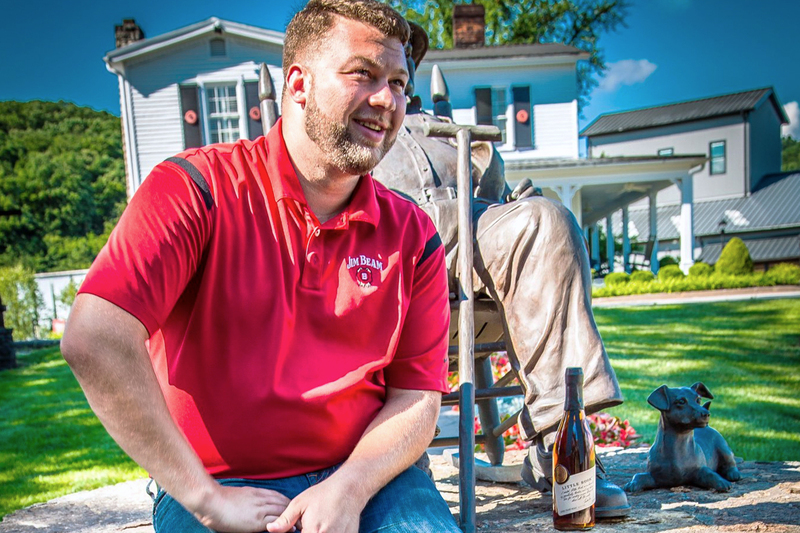 “When people hear ‘blended whiskey,’ there is a certain perception of what that liquid is and what it’s comprised of—namely the common use of grain neutral spirits in blends,” says Freddie Noe, 8th generation Jim Beam distiller. 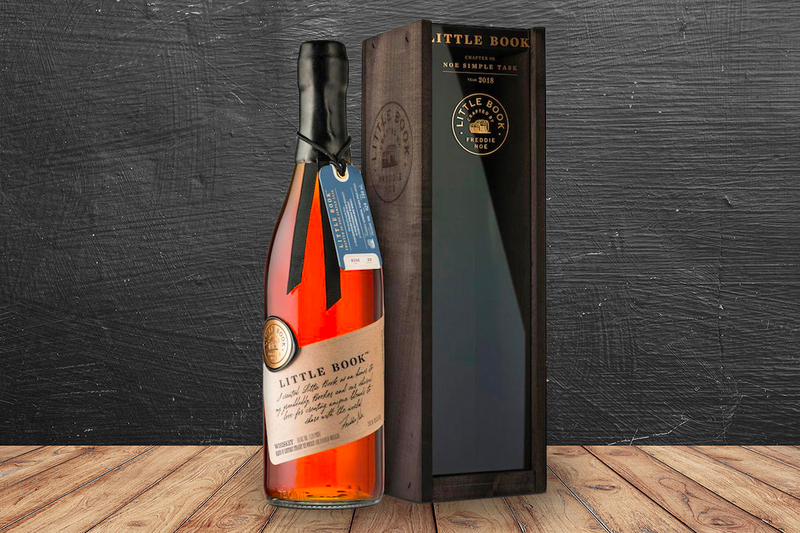 Noe, with the release of Little Book, is one of a number of distillers who are resuscitating the category. As has been with the trend with other overlooked areas of American whiskey, blended whiskey is on the comeback trail. This resurgence is thanks to producers following the high quality approach. Forgoing neutral grain spirits, these brands instead combine disparate whiskeys together. J.H. 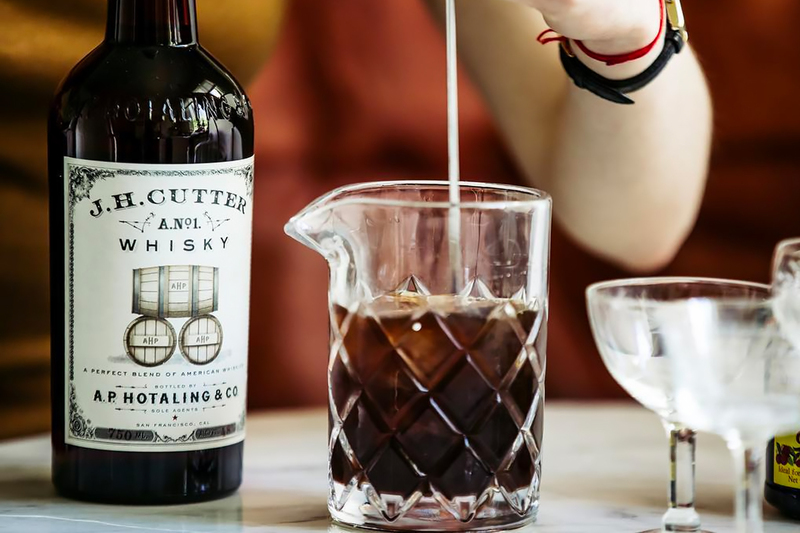 Cutter Whisky / Photo Credit: Hotaling & Co. The aforementioned J.H Cutter Whisky is a perfect example. It’s a blended American whiskey made mostly (73%) with four and a half year-old bourbon from Kentucky Bourbon Distillers. Old Potrero 18th Century Style Whiskey—minimum age of three and a quarter years—comprises 17% of the blend. The remainder includes Old Potrero Port Finish Rye, aged for four years. As for Noe’s first Little Book release “The Easy”, it consists of four whiskey components: a Kentucky straight bourbon (4 years old); a corn whiskey (13 years old); and two nearly six year-old whiskeys—one 100% malt whiskey, and the other a high-rye rye whiskey. Bottled uncut at a proof of 128.2, it along with its packaging are all a nod to the Booker’s Bourbon lineup. Noe isn’t done yet, either. The second Little Book release, dubbed “Noe Simple Task”, includes an eight-year-old Kentucky rye and a 13-year-old Canadian rye. Most notably, it also includes a 40-year-old Canadian 100% corn whisky. Noe says he went through nearly 40 different blends before finding the perfect end result. Both of Noe’s releases are testaments to what blended whiskey in the U.S. can be. Instead of being cheap, flavorless and inauthentic, different whiskey styles can be combined to create impressive results. Little Book and J.H. Cutter aren’t the only selections worth exploring. Barrell Craft Spirits has several examples to consider and recently introduced the Infinite Barrel Project. That whiskey project is worthy of its own post, but suffice to say it takes blended whiskey to another level. 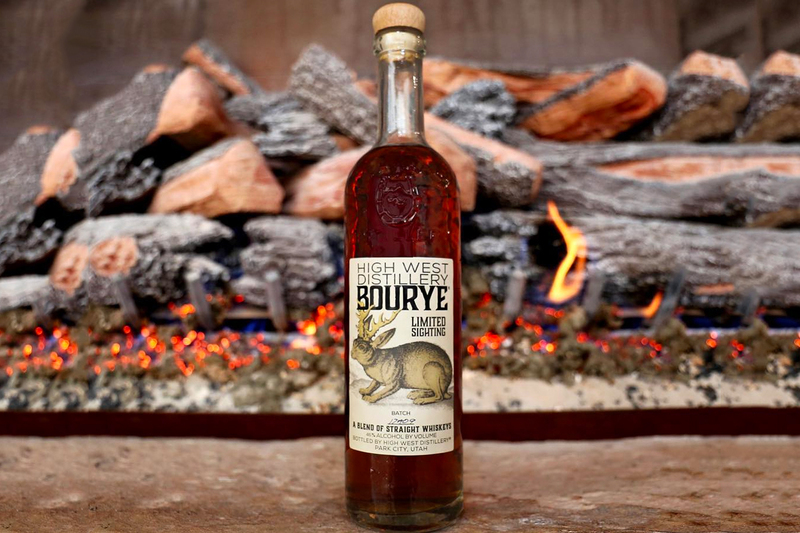 High West is known for bringing together myriad components in their range of distinctive releases. The brand’s Campfire includes bourbon, rye, and a peated, blended Scotch malt whisky as its components. Bourye, a blend of straight rye and straight bourbon is another regarded blended whiskey example. The American blended whiskeys worthy of your consideration proudly disclose their contents either on the bottle or on their websites. Given these recent additions to the category, and the acclaim they’ve received, perhaps more producers will join in. It’s time for whiskey drinkers to give the category another look and forget the brown vodka examples from years past. Blended Bourbon: The Next Trend in American Whiskey?